Alicia hurts, and the fact is, she’s been hurting long before The Good Wife Season 7 Episode 12. When was the last time anyone remembers Alicia being happy? I honestly can’t recall. It’s been that long. It’s not that Eli’s confession made her sad, it’s that it made her sadness worse. And I don’t see it getting better any time soon. Eli: Six years ago, Alicia got a voicemail from a friend, someone who was in love with her. Eli: Yes, how do you know that? Eli is hurting too but it’s of his own making. He didn’t have to tell Alicia about that voicemail. As Marisa pointed out, with Will dead, there’s nothing Alicia can do with that information now except lament a missed opportunity. The knowledge of that fateful voicemail has driven her towards depression with little end in sight. Should Alicia forgive Eli? Probably. Not only for him but for herself; however, more than that, I think Alicia needs to come to terms with the decisions she’s made. She chose to stay married to Peter. 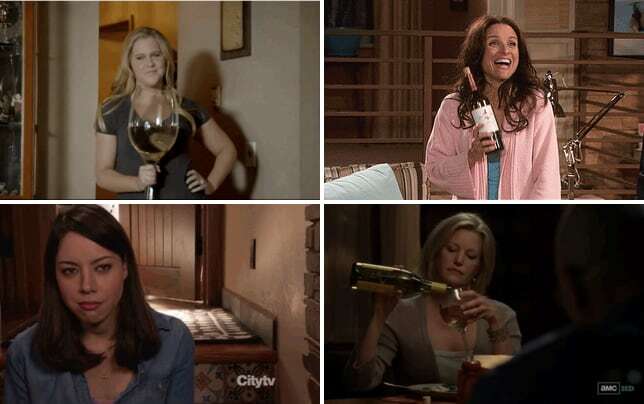 She chose the be the good wife, and it’s led her here. The only path now is forward. Should she consider the road that leads her back to Lockart, Agos & Lee? And I love how Cary forgets to mention the “Lee” part of the firm when he asks her to join them. I’m not sure what the right answer is. Alicia loves being independent. There are no partners to appease and very little politics. She gets to concentrate on the law and building her own business. There are a lot of plusses in that, but there are some pretty serious negatives too. Money is tight, and top paying clients are few. With 70% of their cases being DUIs, I can’t imagine it’s much of an intellectual challenge. It’s a step up from bond court but not by much. Given that, it’s easy to see why working for a large firm would appeal to Lucca. She’s never done that and the stability and money would certainly be something new. But Alicia has been there, done that, and paid the consequences. Could she maneuver through the pitfalls more adeptly if she did it again? Probably. Does she even want to try? It doesn’t appear so. The biggest shock may have been when Alicia fired Grace. I was never a big fan of Grace until this season. The kid is a lawyer in the making. Forget Alicia, Peter, and Zack because Grace will be the true power in the Florrick family someday. I honestly don’t believe Alicia made the right call in firing the girl, and I’m not entirely sure what precipitated the decision. Grace truly seemed to be enjoying the job, and Alicia needs an assistant. Perhaps she should cut back her hours and make sure she spends more time with her friends, but I still think Grace is a valuable asset. Having mother and daughter work together can only make them closer, so I’m hoping that this decision won’t somehow backfire. Finally, there was Ruth Eastman’s exit, which was rather anti-climatic. I’m a huge fan of Margo Martindale, but I expected more from her stint as Peter’s right hand woman. That said, I’m sorry to see her go. But now that she’s gone, has Eli forgiven Peter for tossing him aside? Will Eli ever tell Alicia that Peter was part of her scandal? Where do Eli’s loyalties lie from her on out? 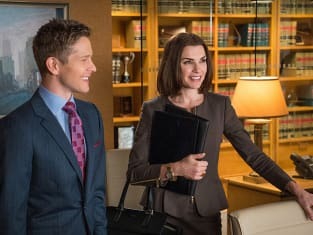 Check back on Wednesday to see what our The Good Wife round table team has to say about this episode and if you can’t wait for more, you can watch The Good Wife online here at TV Fanatic. The Good Wife Round Table: YOU'RE FIRED!